When you have a lot of soda cans lying around or plenty of aluminum packages, you know that you have to find a way to recycle them. People have first started to recycle aluminum about a hundred years ago. Even if it may sound impossible, we are still using 75% of the metal that was ever made. You should know that recycled aluminum has exactly the same properties as new aluminum. You can reprocess and recycle aluminum years on end because it will not lose its quality during the process. The metal is known to be used to develop a lot of different products, from cars to food packaging. Hence, the endless reuse cycle is called the closed loop recycling. Experts in the field collect foil trays, drink cans, drink and food packaging, steel food thins, and aerosols from can banks or homes. There are certain recycling schemes which require the collection of foil separately. The materials recovery facility or the local waste transfer station will take all the recyclable materials in order to sort them. They use magnets to separate metals. Then, the steel and aluminum items are compressed into bales. The next step is to take the bales of aluminum to a reprocessing plant. There, the materials go through four different steps, namely shredding, decoating, melting and casting. In the final stage, all the molten metal is transformed into large ingots. Those ingots are then taken to a rolling mill and workers there roll them to develop new sheets of aluminum. Hence, new packaging can be built. The aluminum sheets are used to create a wide range of packaging items. If you want to recycle aluminum by yourself, at home, you should consider reusing some of the food and drink cans. In what follows, we will offer you a list of craft ideas that could stimulate your creativity. Now all the soda cans lying around your house will finally have a purpose. Besides recycling the cans to make some extra money, you can also use them to develop all sorts of artsy items. You can develop nice objects, from home décor to gifts galore. All the following projects are easy-to-do ones, and you will also have lots of fun while doing it. If you are tired of searching for the right cookie cutters in the right sizes and shapes, you should start designing your own. It is super easy to develop these DIY cookie cutters by using some empty soda cans. You will only need to cut some rolls out of the can and then shape it as you wish. This will be an exquisite home décor. You need to collect all the tabs you have from all your soda cans to develop an incredible lamp. Besides the fact that it is unique, it really looks amazing. 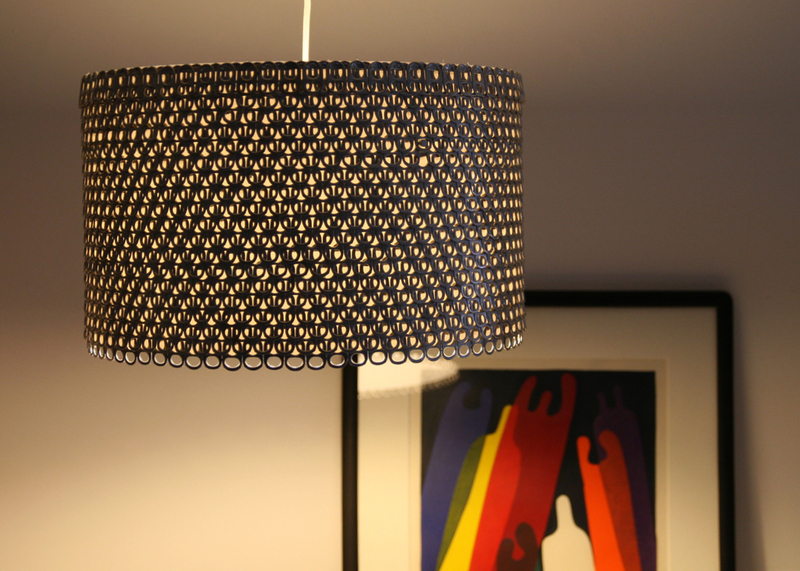 The table pendant lamp is very easy to make. You just have to be patient enough to stick together all the tabs. These little tealight candle holders are very easy to make. You could place them on the foyer table, offering a rustic touch to your nights in the garden. If you do not want the cans to show, you could use some paint to make them match the rest of your furniture. 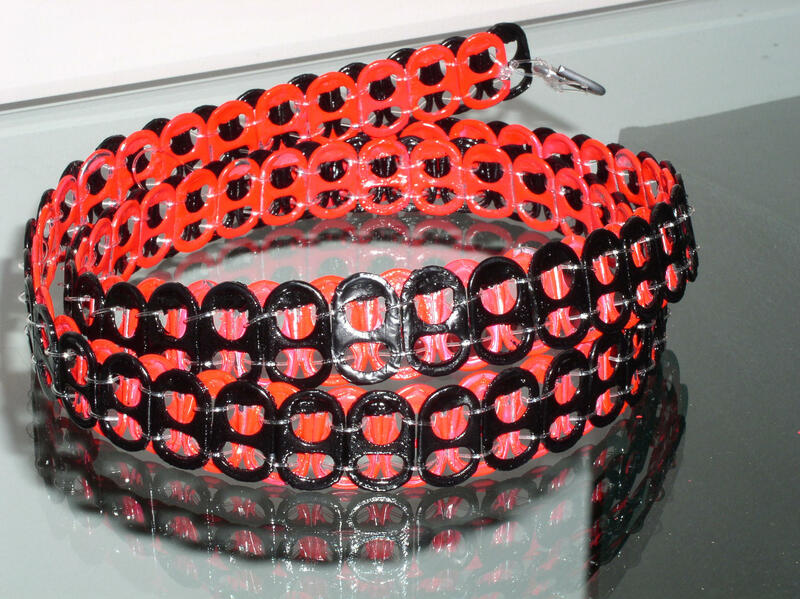 Besides soda cans, if you also have some ribbons, then you should start working on this to obtain some cute bracelets. They can become the perfect gift, and they are pretty inexpensive. You can recycle your soda cans and transform them into a unique fashion statement. Consider applying some colorful beads and rhinestones on the ribbons to make it look more fashionable. Now you can use your soda cans to create beautiful decorative flowers that you can place in your child’s room. All you need are some soda cans and paint. However, the most intricate job is to cut the soda can into different shapes to obtain the flower’s petals. This is an easy DIY project, and you will have lots of fun. You have to cut off the top of the soda can and then slice it vertically. Use your favorite colors to paint the flowers. Instead of buying candles and lanterns, you should develop some using soda cans. You can hang them outside your door or on your porch for your summer parties. You can put in a citronella candle or a tealight. Your patio and porch will now have a rustic touch. Your teenage kids are going to love these exquisite keychains with the logos of their favorite brand of soda. This is a nice gift that you can create for them. You just have to cut out the logos off the soda cans and shape them as you want. Then, you should apply some hot glue on both sides to make sure the aluminum foil will keep its shape. Recycle your soda cans to obtain exquisite and unique jewelry pieces. You may customize the necklace as you like. Furthermore, this may turn to be the perfect gift for your friends and family. Cut out some pieces of aluminum, choosing the shape first. Then, you can use some small chains to connect the pieces together and make the necklace. This would make an incredible fashion statement. You will have to weave ribbon through individual soda can tabs and link them together. Use the colors that perfectly match your outfits and then choose the size of the belt. This is a great way to use your designer skills if you love fashion. Recycling aluminum can be done in different ways, either by letting your local waste transfer station to reprocess it or by developing DIY projects. These exquisite ideas can help you practice your creative skills. Now you will have the chance to use those soda cans and turn them into beautiful objects or jewelry.